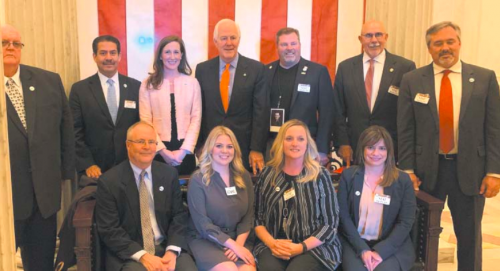 At the unveiling ceremony, friends and family recalled their experiences with her over the years she served Jacinto City. Many tears and sighs were heard as the stories of her love for people, and service to all, brought back dear memories. 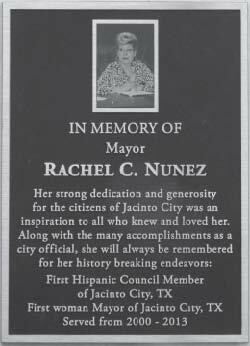 This Memorial Plaque is mounted in the lobby of the Jacinto City city hall, and recounts the accomplishments of Rachel C. Nuñez.